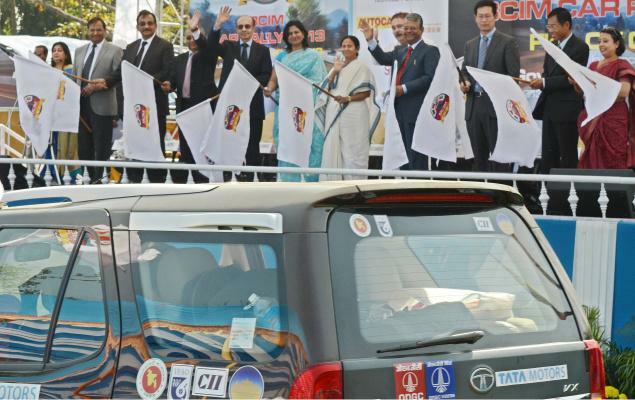 Imphal, Feb 25 : The Bangladesh-China-India-Myanmar car rally scheduled to pass through Manipur on Tuesday will face a bumpy ride on the two mountainous highways between Jiribam-Imphal and Imphal-Moreh. The Kuki Statehood Demand Committee (KSDC) has announced that the rallyists will not be allowed to pass through the Kuki villages along these highways as the Centre, it alleged, reneged on the assurance to hold a dialogue on its demand for a separate Kuki State. According to the KSDC, the Centre gave it a written assurance during the last phase of the blockade, to begin the dialogue by February.Based on this undertaking, the KSDC allowed the ASEAN car rallyists to pass through their villages. Since nothing has been done to hold the dialogue they have decided to reimpose the indefinite blockade along the highways from Sunday. The Kukis want a political dialogue involving those armed Kuki militants who had come overground after signing the suspension of operations agreement with the Centre. But one of the provisions of the agreement was that the signatories would not demand that separate States be carved out of Manipur.The Manipur government and people are dead against the Kukis’ demand.The KSDC has circulated a proposed map of the Kuki State, which covers half the territory of Manipur. The Nagas are demanding integration of the “Naga areas” of Manipur with Nagaland. Meanwhile, in an apparent violation of the suspension of operations agreement, a 24 Assam Rifles post at Saibon Kuki village was attacked on Thursday night. Two security personnel suffered bullet injuries. Being a Kuki village in a sub division dominated by the Kukis, the militants of other tribes could not have attacked the post. The ball is now in the Centre’s court. Without the cooperation of the KSDC and the Kuki people, the car rally cannot pass through Manipur. There was a panic buying of fuel and consumer items on Saturday ahead of the indefinite blockade to be imposed by the Kuki Statehood Demand Committee from Sunday midnight. There were serpentine queues at petrol pumps as drivers sought to fill tanks to capacity. A number of roadside vendors were also seen buying barrels of fuel, which they would possibly sell at a profit once the blockade begins. By late evening, most of the petrol pumps downed shutters citing no stock. Meanwhile, the government has said the State had a month’s stock of petrol and diesel. Food, Consumer and Public Distribution Minister Okendro Moirangthem asked people not to resort to panic buying. Adequate armed guards would be provided to oil tankers and trucks fetching fuel and consumer items from Assam.